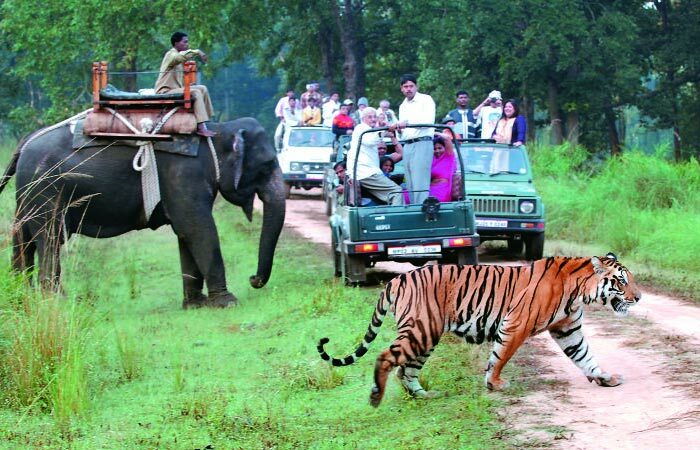 Wildlife in India will give you foretaste of that organic diversity, of which India is so proud. More than 4% of India's land is covered by forest. The ecologically varied India is abode to some of the rarest kind of flora and fauna. It is also considered as one of the 12 mega diversity areas in the world. It is the only country to have about 65% of the world’s tigers and 85% of the world’s Asian one-horned rhinos. 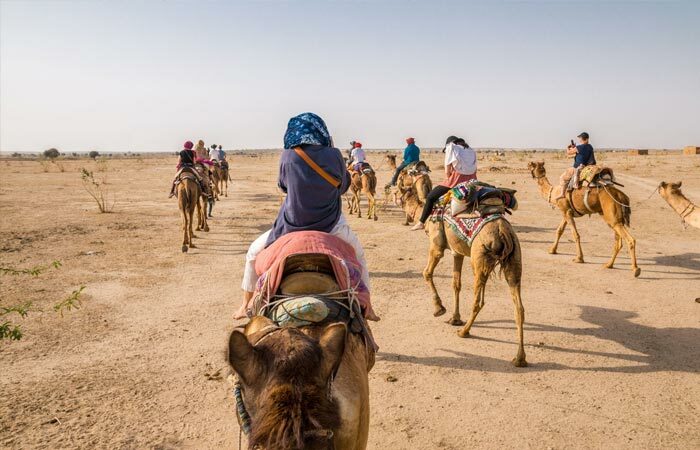 For its miscellaneous vegetations and natural wealth, India is fast becoming a very popular destination for animal lovers through out the world. 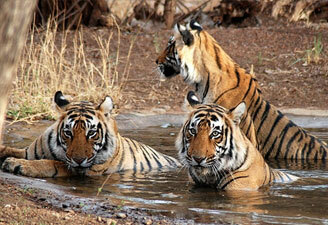 Every year thousands of wildlife enthusiasts throng here to discover the natural world of India. Be it desert, high mountains, highlands, tropical and temperate forests, swamplands, plains, grasslands or riverine areas - political boundaries of India covers a huge biodiverse regions. So naturally one will find here a large population of wildlife which is residing in its lush forests. These population include more than 372 mammal species, over 1200 bird species, 228 species of birds, over 30000 kinds of reptiles and innumerable insects. 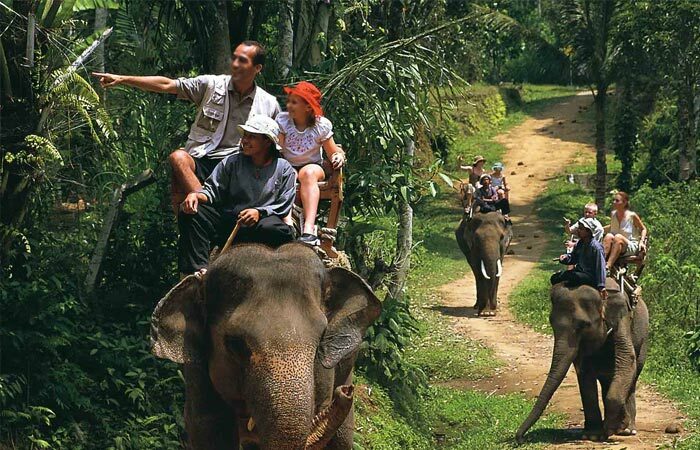 In this long list you will find many endangered species of both the flora and fauna. To protect this precious species India has many wildlife sanctuaries and national parks, where you can have a glimpse of these wonderful natural wonders. 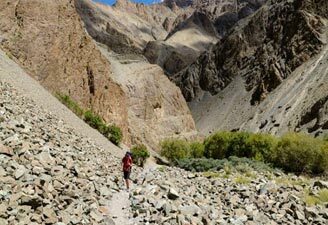 This beautiful and one-of-its-kind national park is situated at the foot hills of the Himalayas. You will find here around 110 species of trees, 50 mammal species, 580 bird species and 25 reptile species. 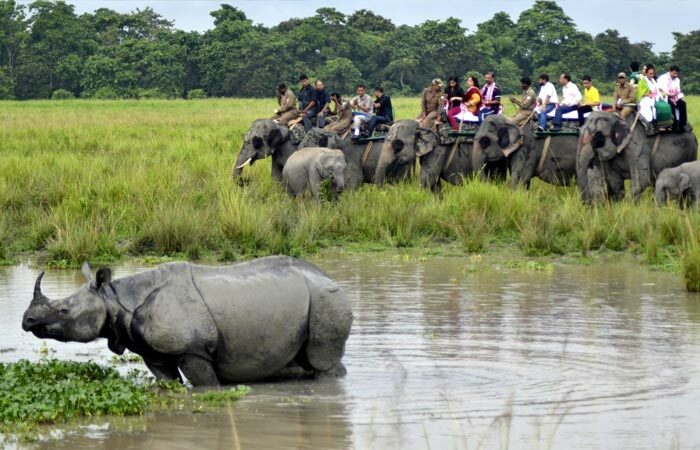 217 km from the capital of Assam, situated in Jorhat Nawgaon district, the Kaziranga National Park declared a World Heritage site by UNESCO in 1985. 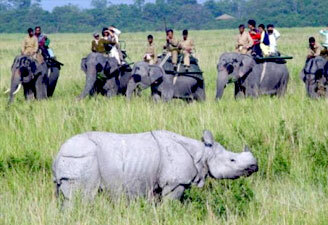 Along with the Great One-Horned Indian Rhino, the major attraction of Kaziranga, you can also enjoy over 450 avian species and other animals. 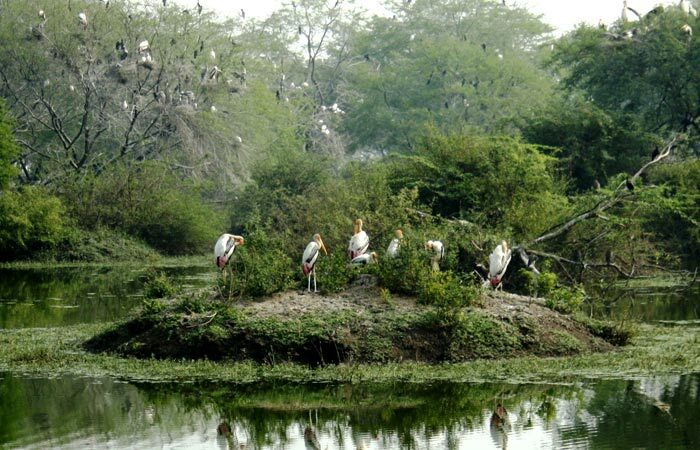 Located between Agra and Jaipur, Bharatpur Bird Sanctuary is a popular hub of the avid bird watchers. Here you will find over 377 species of birds, of which one third are migrants. 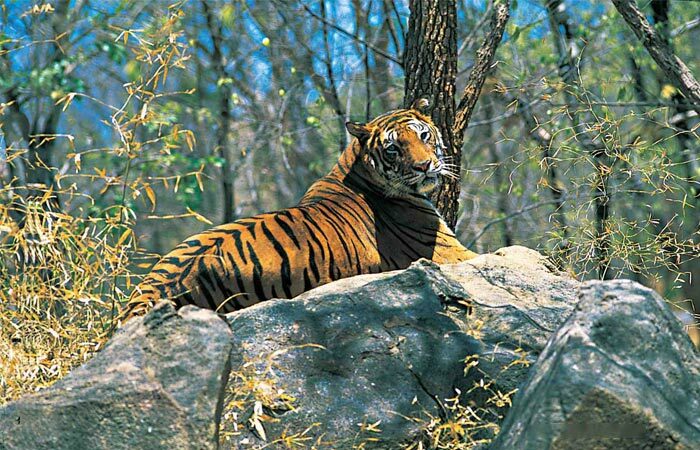 Bandhavgarh National Park has highest number of tiger populace for any wildlife habitat in the country. This safe heaven is a dear haven of hundreds of species of flora and fauna including the chausingha, chinkara, fox, nilgai, chital and jackal. Besides animals you will also find there around 250 species of birds. Periyar National Park, also known as Thekkady Wildlife Sanctuary, situated in God's own country Kerala. The best time to visit this sanctuary is in between October to June. It homes a wide range of wildlife including the tiger, leopard, barking deer, nilgiri langur, sambhar, squirrels, wild boar and nilgiri tahr. 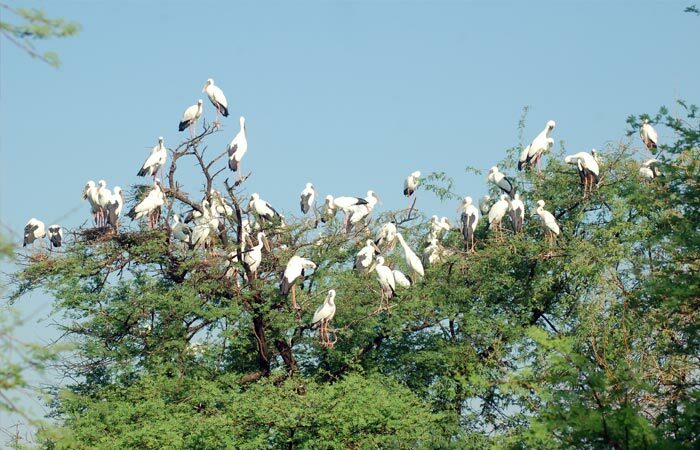 Spread over 392-sq-kms Ranthambore National Park is home to around 300 species of trees. It also houses 25 tigers, 40 leopards, 272 species of birds with a large population of Sambar, Chital, Nilgai, Mongoose, Indian Hare, Monitor Lizards etc. Kanha National Park is the beloved home of much talked about mammal barasingha. Besides them you will also be able to spot there animals like bison, mongoose, gaur, monkey, chital, hare, barking deer, jungle cat, black buck and hyena. If you are interested in birding then you will be able to find there storks, fly cathcers, pintails, orioles, egrets, woodpeckers, spur fowl, finches, partridges, drongos and green pigeons.